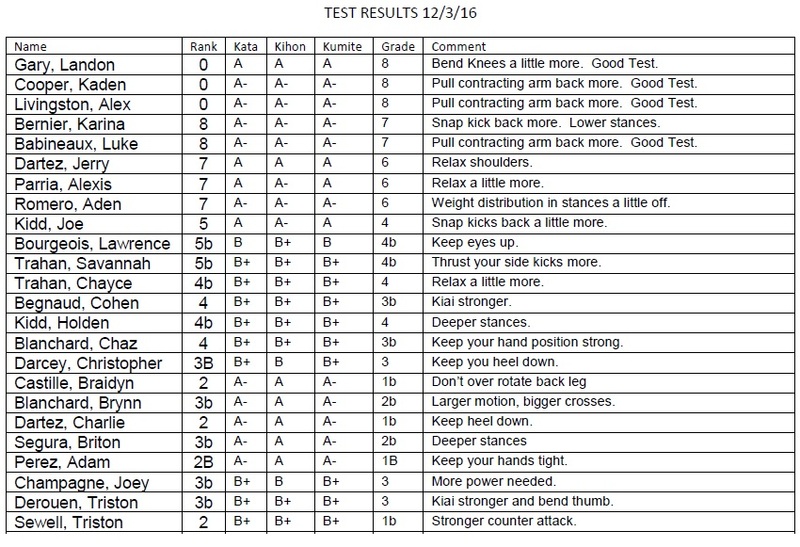 Here are the test results for the Kyu Exam this day. If you click on the image it will become larger. 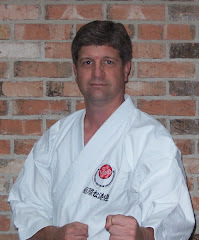 If you have any questions about your grades, please ask Sensei Scott. 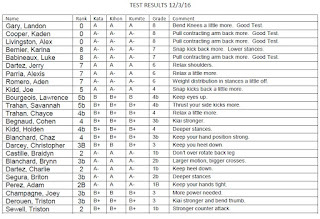 You will be getting your new belts and certificates at the next scheduled class.